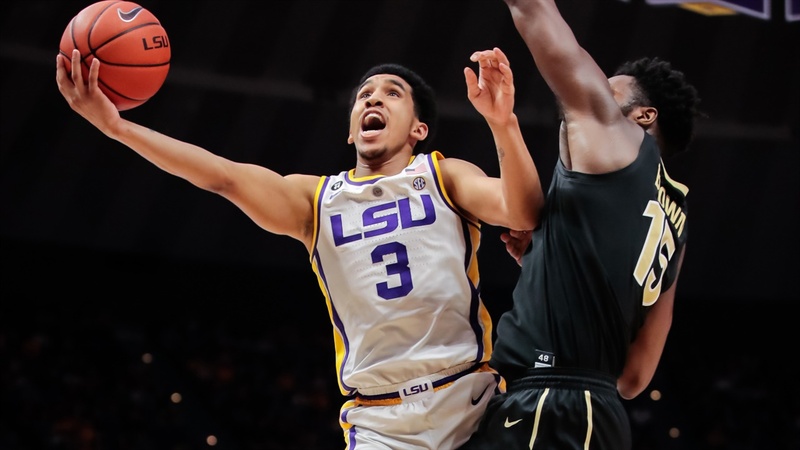 LSU star point guard Tremont Waters has announced that he will be entering the NBA draft after two amazing seasons in Baton Rouge. Waters, an All-SEC freshman in 2018, was named first-team All-SEC in 2019, a member of the league’s defensive team and the Co-Defensive Player of the Year. He was one of five finalists for the Bob Cousy Point Guard of the Year. Waters, over two seasons and 66 career games averaged 15.6 points per game (15.9 points in 2017-18 and 15.3 points in 2018-19), 3.1 rebounds, 5.9 assists and 2.5 steals per game. This past year in 33 games he averaged 5.8 assists and 2.9 steals, tying for the lead in the SEC in assists and leading by a full point the league in steals. The New Haven, Connecticut native set the LSU record for steals in a season with 96, breaking the old mark of 93 set by Darryl Joe in the 1987 season. He finishes with the third most steals in an SEC season and posted back-to-back seasons of more than 190 assists (198 in 2017-18 and 192 in 2018-19). Waters had 26 double figure scoring games, eight over 20 points, including 36 at Texas A&M. Waters posted his career high of 39 points in a Maui Invitational game against Marquette. He had five double figure assist games including 11 versus Charleston and at Arkansas. In his two years, Waters set the assist record for freshman and sophomores at LSU, had nine double doubles and 47 double figure scoring games. He was the first freshman in the SEC since John Wall of Kentucky (2009-10) to have 10 points and five assists in a season. He entered the NCAA Tournament as the only player in Division I to average 15 points, five assists and three steals.